Ah Newtown – the hippest, most unsuspectingly ‘it’ place at the moment, with its hidden establishments, grungy bars, appealing food and rowdy nightlife. There isn’t anywhere quite like Newtown. The locals will tell you that. 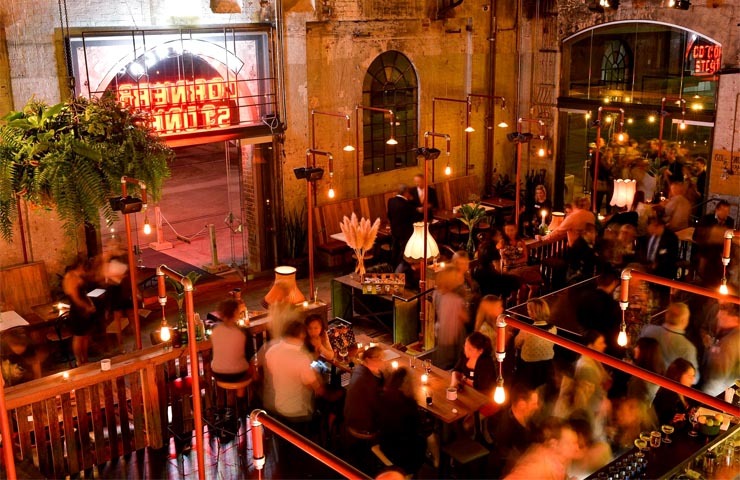 And after a night spent running around some favourite Newtown haunts (that we’ve listed below), you too just might fall in love with the shabby chic vibes and artsy student-filled bars and eateries. 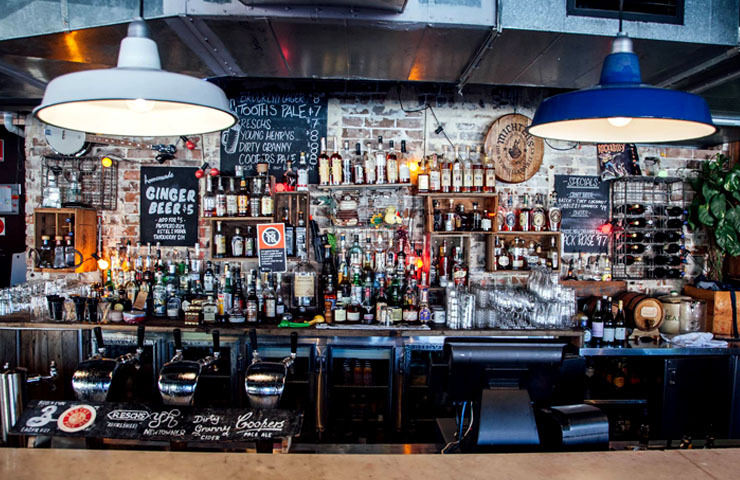 Read on for our insider’s secret of Newtown bars – some old, some new and some hidden from the unsuspecting eye (but that you should totally check out). Haven’t you heard? The black sheep of the family is always the most fun. 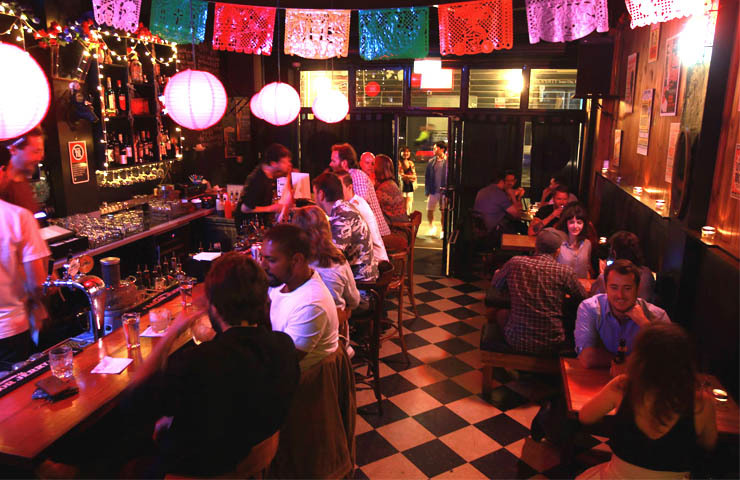 Blacksheep, located on King St, is a small, cosy, unpretentious bar with a lot of heart and soul to make you fall in love. 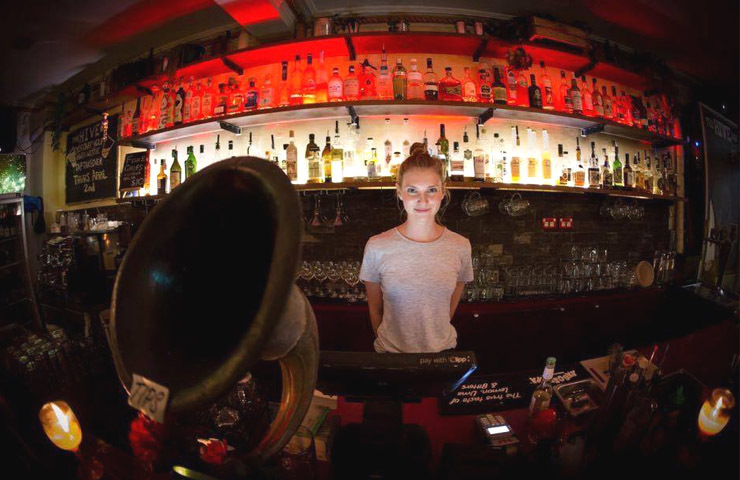 Its charming atmosphere, lovely bartenders and curious range of activities on display (think live art shows, music gigs and fun-loving patrons) makes the Blacksheep what it is. 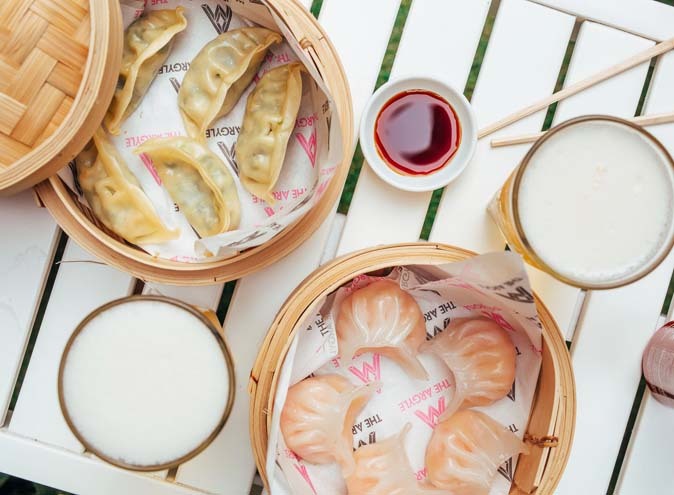 Add on cheap nibbles and sweet, sweet cocktails, illuminated by glowing fairy lights – and you’re in heaven (if heaven were a drinking institution built for dancing the night away). This large Newtown pub is so much more than just a place to drink and chat. It’s a trademark institution where you’re definitely guaranteed a fun (and a bit of a rowdy) night. The Bank Hotel is a pub, craft beer bar, live music venue which even has a rooftop to enjoy some fresh air every now and again. With an influence of Latin décor, vibrant colours and a bustling atmosphere – The Bank is perfect for spending your whole night at. A 7pm close for a popular bar, you say? “Surely not” are the words uttered by most Newtown virgins. 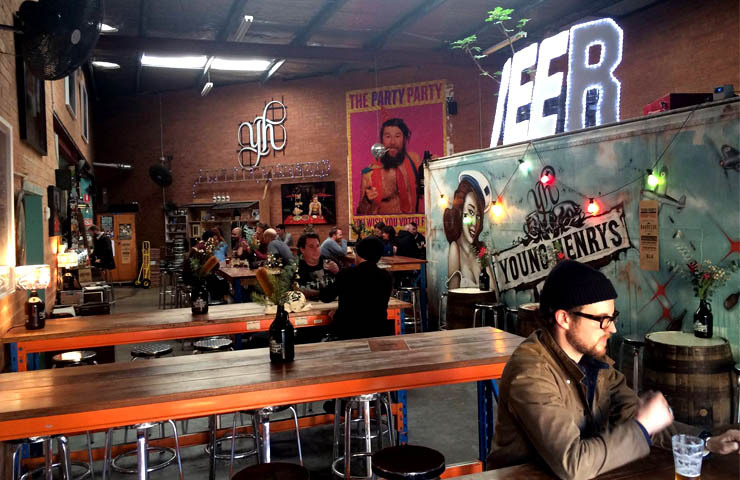 Well believe it, because Young Henry’s is a craft beer bar that was built specifically for day drinking and rock n roll tunes. No judgement and no discrimination. Bring along your kids, your 80 year old grandma, your doggo and anything else you can think of. Young Henry’s is open for all. And boy, do these guys have connections; they regularly get food trucks to pull up to the doors of the bar to sort out your drunk munchies! Plan your next lazy Saturday arvo here, stay until 7pm and then head off to see what the rest of the ever-mysterious Newtown has to offer. All hail Webster’s! Particularly because they’re open until 4am and bypass the lock-out laws. But also, because they have amazing drink specials, different spaces and levels that cater to a range of styles and needs. You want food? Webster’s has it. You want drinks? Webster’s has it. You want an expansive rooftop garden with $5 craft beers during happy hour and a sizzling, mouth-watering BBQ? Yes, Webster’s has it. Webster’s has been around for quite some time, and is rich in history and culture. Having been built on top of The Newtown Store – it’s one of the first establishments to make Newtown what it is today. Surprisingly enough, Corridor isn’t just a corridor where you stand about awkwardly drinking and making small-talk. It’s actually a multi-level establishment serving up some damn good food and cocktails. There’s a private space at the front, bar stools scattered throughout, a lounge room and a rooftop garden. 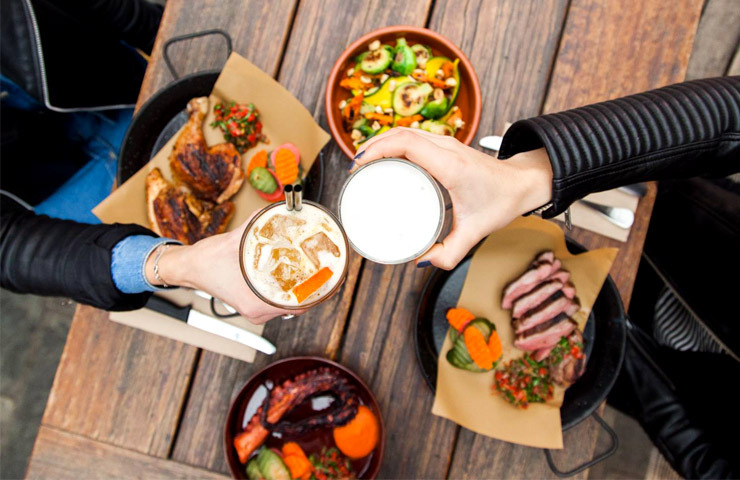 There is no shortage of where you can choose to go leisurely sip your cocktails and get in on those sharing plates. The cocktail menu is seasonal and boasts hand-squeezed juices, house-made syrups and only the finest spirits. This place is getting pretty popular, so get in quick. This vibrant bar and eatery has something on every day of the week. They don’t disappoint with their inviting atmosphere and colourful décor; the place was made to induce happiness and produce singing, dancing and laughter. Their old-school rock and roll tunes and soulful comfort food keep everyone happy (and coming back) – it’s called Miss Peaches’ Soul Food Kitchen for a reason. 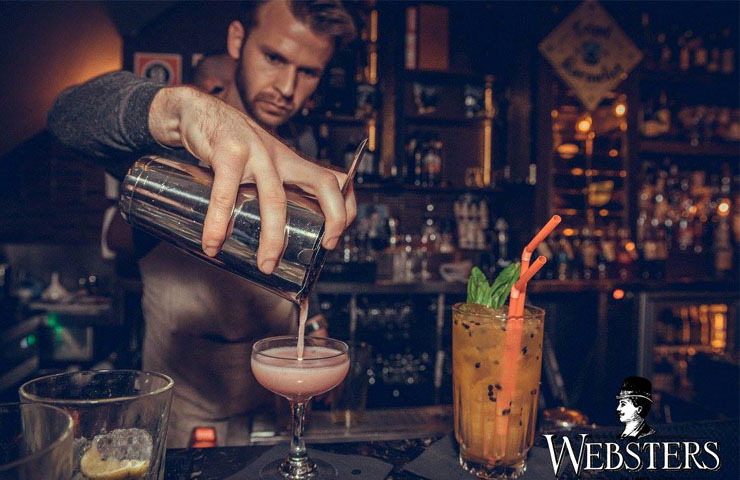 Come in on a Wednesday for their ‘$7 back bar’ specials. Or even take up a swing-dancing class, so you can dance the night away with your newly-learnt dance moves put to the ultimate test, right there in the bar. 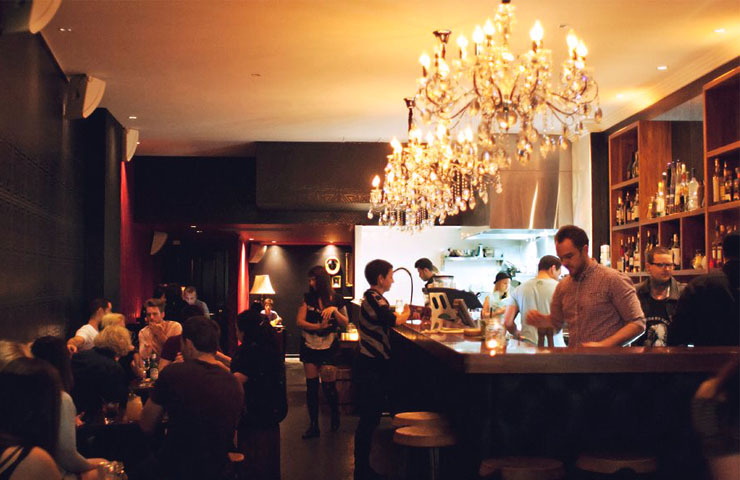 This bar technically isn’t in Newtown, but is just down the road (literally) in Erskineville. It’s a locals favourite and never seems to lose its appeal and charming nature. It’s relaxed and cosy, and is tucked away down the slightly quieter side of town, not too far off King St. The dark shades of furniture, moody lighting and array of odd bits and pieces allow The Hive to be an unpretentious drinking den. They’re all about beer, burgers, cocktails and vinyl. Sounds like a pretty solid set of values. 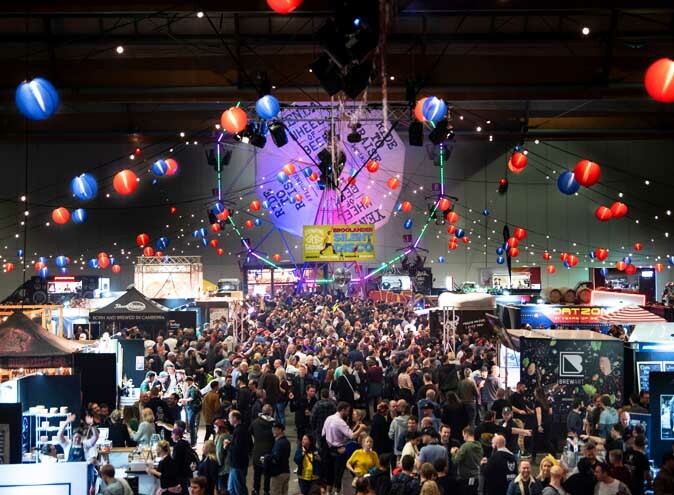 The Hive gives you a dosage of good ol’ drinking fun and we’re buzzing about it. 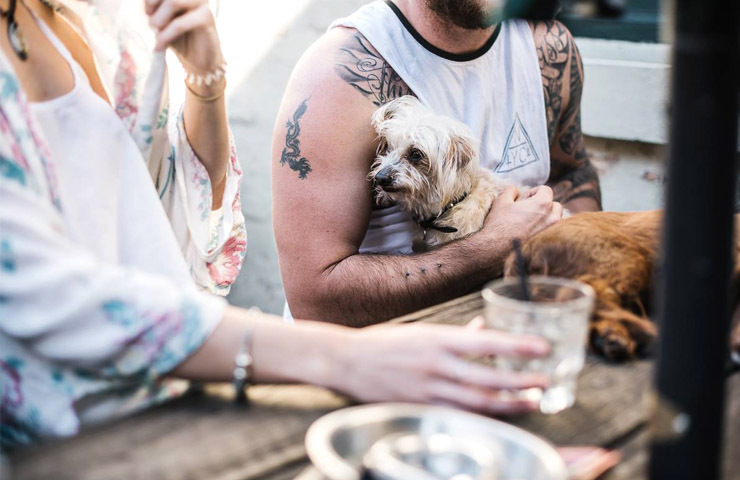 The Courty has to be the perfect country-styled pub for enjoying a lazy arvo with your friends and even your pooch! This friendly, laidback establishment is great for casual drinks, good banter and some pub-style grub. A standout is definitely the serene beer garden, covered in lush plants and greenery – it’s the perfect spot to soak up those sun-rays whilst enjoying a bev or two. Get in early and grab a spot outside. Ah, The Spesh. This lovingly nicknamed bar is all things Americana and soul. Pull up a chair and sit yourself down at this live music arena, featuring gigs churning out some blues, indie, folk and soul tunes – all reminiscent of our favourite topic of conversation at the moment, the USA. 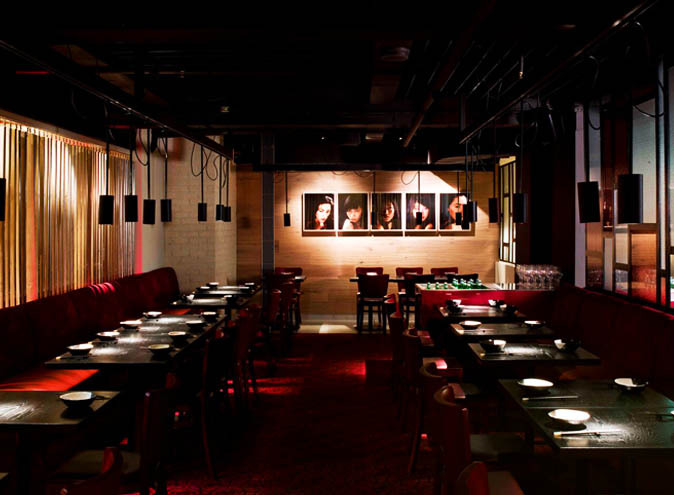 Checkered floors, hanging lanterns and dim, reddish lighting give way to this odd, little bar. If you’re a fan of vinyl, this place will rock your cowboy boots right off you. It’s a night of comfort, live music and great chats. This hipster bar is so Newtown, despite being located in neighbouring Eveleigh… With its choice of art lining the walls, its industrial décor and its recycled furnishings. The relaxed atmosphere, recycled timber and expansive exposed brick walls make the space welcoming and uber-cool. 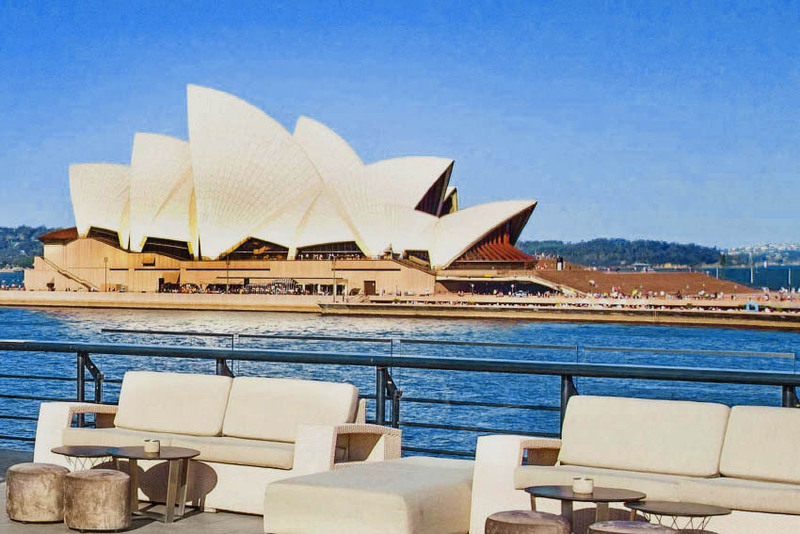 The menu is focused on modern Australian meals, with a great selection of sharing platters and flexible canapé menus. There’s even a variety of wines and cocktails sourced from around the world. This place has some serious charm, plus it’s massive, so don’t worry about being crammed in like sardines. Check it out and enjoy the fun atmosphere the Cornerstone has to offer. It’s not too far from Newtown and is definitely worth the short ride there. 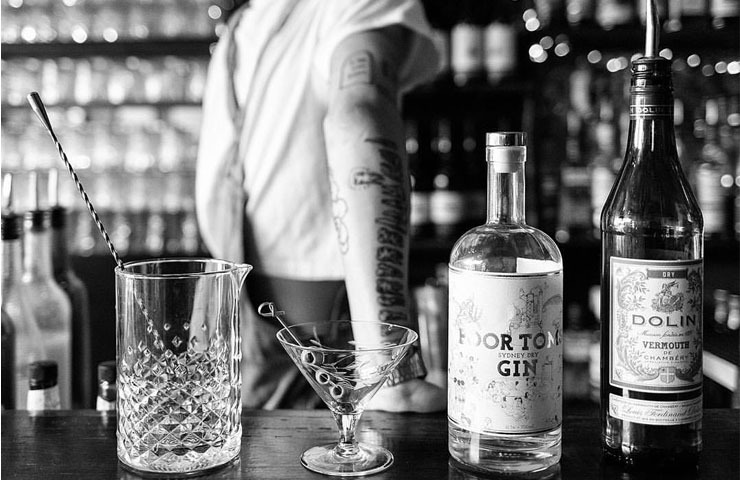 Newtown is definitely the new kid on the block, and definitely has a lot to offer – so get a crew together and make your way over to Sydney’s Inner-West for some of the grungiest, most unpretentious and eclectic bars going around. Happy drinking!